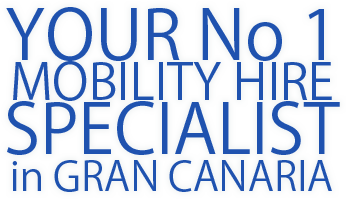 Gran Canaria Mobility Scooter Hire. 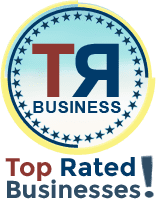 Voted #1 and recommended by tour operators.. Welcome to Sol Mobility Blue Holiday Service. 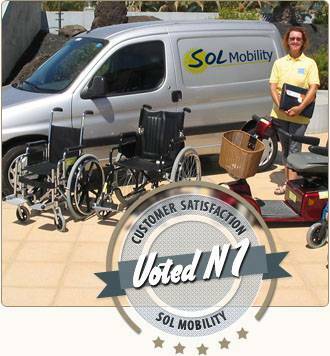 Sol Mobility Blue Holiday Service are proud to have a first class reputation as the #1 choice in Gran Canaria for best value mobility scooter and electric or manual wheelchair hire. 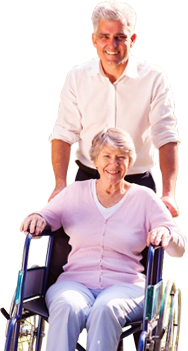 We offer low hire rates on shower chairs, commodes and our wide range of modern mobility equipment to suit your individual needs. 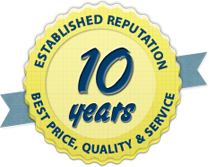 Free delivery and collection is included to Playa Del Ingles, Bahia-Feliz, Puerto-Rico, Maspalomas, Mogan, Meloneras,Arguineguin, Tauro, Taurito, Amadores, Patalavaca, San Agustin and we are happy to deliver to other areas such as Las Palmas if requested. 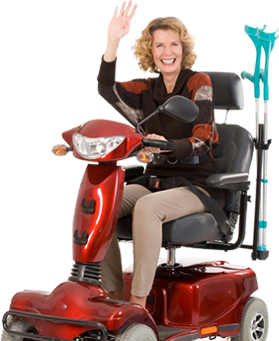 Our clients enjoy a professional service and we offer a low price guarantee on mobility scooters with daily hire and longer term rental discounts. 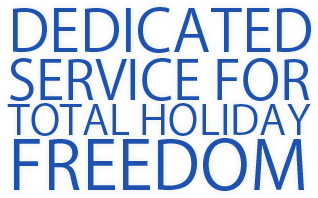 All of our modern equipment is of the highest standard so you can be assured that Sol Mobility Blue Holiday Service has the right equipment, in the right place, at the right price for you. 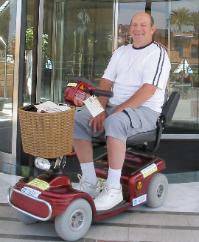 Thinking of bringing your own Mobility Scooter, Wheelchair or other Aid on holiday? 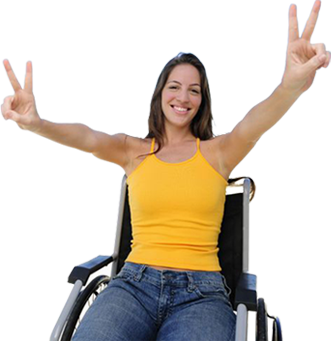 The benefits are clear, however, not all equipment is suitable for use in Gran Canaria and every week wheelchairs, mobility scooters and other valuable equipment will get damaged in transit. We have excellent repair workshops but if you are unlucky your holiday can be ruined spending time sorting out replacements and insurance claims. 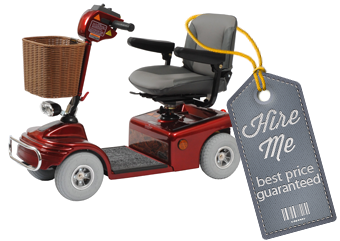 Hiring top quality mobility equipment is the best choice for peace of mind. 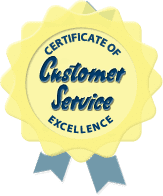 We include our excellent delivery, collection and back up service so you can hire the right equipment with a friendly team dedicated to making your holiday a success.